Here we are at the end of November and the end of NaBloPoMo 2014 (for me, at least). As I sit here on my couch, my newly-downloaded Infinite Rain app filling my ears with rain, thunder, and soft chimes, I find myself stymied as to what I can write to simultaneously sum up this month and move me on to the next. I have enjoyed the exercise and “muscle”-building of writing (or at least posting) something every day and it is a practice that I really want to keep up. I want writing to become a discipline and not just a hobby. 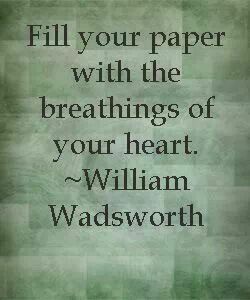 Wordsworth admonished, “Fill your paper with the breathings of your heart,” and I truly feel as though that is what I do when I write. Whether fiction or non, story or reflection, what I write is attached to my heart, breathed of it, part of it. The nonfiction pieces are infinitely scarier to me, though. Those are my personal thoughts, feelings, and opinions. That’s my soul right there, laid wide and bare for anyone – family, friends, stranger, comrades, critics – to read, enjoy, despise, pass judgement, give encouragement, or comment on. Articles like “Discussing the Other” and “The Weight of Silence”, in their deep vulnerability and honesty, are terrifying to me. They terrify me because of the probability of their divergence from the opinions of others who mean a great deal to me, of striking a heart too hard, or touching a raw nerve, and, therefore, the possibility of their inciting the anger, hurt, or disappointment of those particular people. Even at the age of thirty-one, it is difficult to divest myself of the importance of others’ opinions. My husband once said, “You don’t worry about people not liking you. What worries you far more is someone being upset with you.” And it’s true. Believe me, it isn’t as bad as it used to be. Not that many years ago, I truly think I seriously would have chosen to have my head cut off before allowing others who had known me all my life to see me as less than. Less than perfect, less than what they had always assumed me to be, less than the example that I should be. In order words, I would have rather had the earth swallow me up than take a chance at being vulnerable and see looks of disappointment reflected back at me. I feared it all the time, guarded my vulnerabilities and shortcomings with a frightening vigilance, though, truthfully, probably not as closely as I thought I did. As an adult now, I cannot kid myself in the idea that someone didn’t know, that my mom or dad didn’t see that I wasn’t perfect. And you know what? They loved me anyway. The people who are steadfast in my life always have. They love me no matter my shortcomings, no matter my failings, no matter my vulnerable humanity. And so I write. I write as honestly as I may, speak as I need to, across this medium and others. If the results are negative, then I shall deal with them as they come and, hopefully, consider it practice in graceful reactions and healthy conflict resolution. I write far better than I speak. In the time that it takes my words to travel from my brain to my fingers to either write or type them out, there seems to be a bit more of a profound filtration system than the path they take from my brain to my mouth. Of course, with writing, there is the benefit of editing and revising before we hit Send, Post, Tweet, Publish, etc. Writing enables me to take extra time before “speaking” to see how my words look before I “say” them and that is a benefit and a boon. I am trying to practice something similar in my verbal conversations, taking necessary moments before speaking from an unglued place. After all, HOW I say something can make or break what I have to say, regardless of how true or honest it might be. 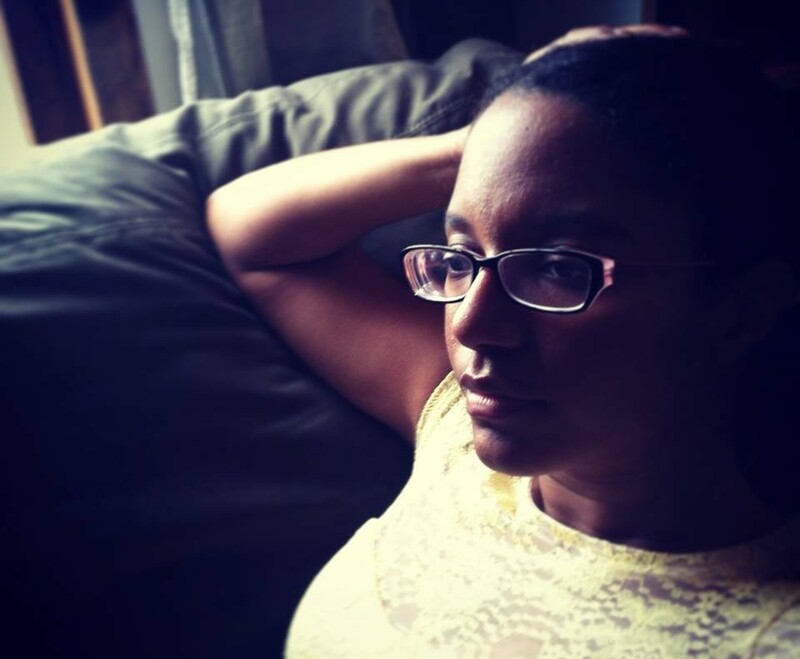 Over the past four and a half years, this blog has become a place for those paper bullets of my brain, my thoughts and wonderings, my heart and soul to be poured out, parsed out, taken apart to be analyzed, and pieced together in a coherent whole. You, gentle reader, have been exceedingly patient with me as I have walked and continue to walk this path of bettering my art and, simultaneously, myself. So thank you for that. And I hope that, even just now and again, I can write something here that will help your heart, harmonize with your voice, and make happy your soul. Thank you for sticking with me through this National Blog Posting Month, and here is more steps along the path and adventures along the way. Cheers!